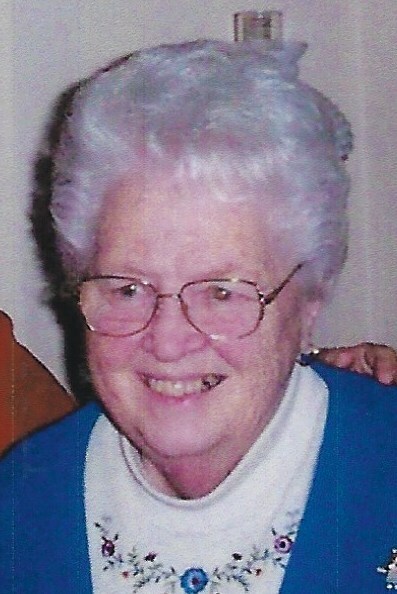 Lorain – Geraldine “Gerry” Walker (nee Jacopine), 92, passed away on Thursday, November 15, 2018 at Anchor Lodge in Lorain, OH. She was born in Lorain, OH on June 25, 1926. Gerry married her beloved Gordon A. Walker in 1947. She was a homemaker and she worked at Sears and Roebuck. Gerry was a member of St. Thomas the Apostle in Sheffield Lake, OH and KSKJ Lodge. Gerry enjoyed bowling and spending time with her family. She is survived by her daughters, Carolynn Walker-Ashworth and Leslie (Alan) Hladis; grandchildren, Michael and Jeffrey Hladis; great granddaughter, Rachel Hladis; brothers, Louis and John Hodnick; and nieces, Cindi Hodnick, Rhonda Wallace and Alise Hodnick. She was preceded in death by her husband, Gordon A. Walker; daughter, Paulette Walker. The family will receive friends at Reidy-Scanlan-Giovannazzo Funeral Home and Cremation Services, 2150 Broadway, Lorain (440) 244-1961 on Monday, November 19, 2018 from 9:00 AM until the time of the funeral service at 11:00 AM, Fr. Stephen L. Shields, Pastor, officiating. Christian burial services will be held at Calvary Cemetery in Lorain, OH. Online condolences and gifts of sympathy may be shared with the family by using www.rsgfuneralhome.com.